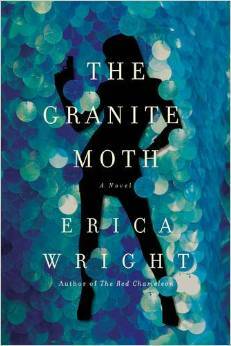 When I opened Erica Wright’s new novel, THE GRANITE MOTH, I expected it to be good. I didn’t expect to be so fully transported into the story. Wright has a crisp, fresh writing style, a flair for language, and a deep understanding of character that made this book a pleasure to read. Wright’s facility with language should come as no surprise, considering her roots as a poet. Her first book was a poetry collection, Instructions for Killing the Jackal. She’s also written another novel called The Red Chameleon. So how does a poet become a crime writer? By teaching English at John Jay College of Criminal Justice, where she developed an interest in crime fiction. 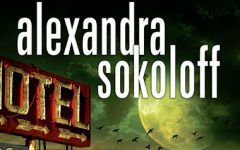 That marriage of poetic language and gritty crime stories turned out to be a perfect match. She’s graciously agreed to answer some questions about her latest work. Let’s get the obvious out of way first. How does it feel to have your book chosen by O, The Oprah Magazine as a 2014 Best Book of the Summer? And…may we rub your head? I’m a bit of a fainting goat. Bad news or good, I can tip right over. When I got my copy of O Magazine, I managed to stay standing, but I definitely thought, Is this real life? You started your writing career as a poet. How does your background in poetry influence your novels? Switching between genres can be challenging, but there’s definitely some overlap. I found studying forms like sonnets and sestinas to be really useful. There’s creativity, of course, but also an element of puzzle solving. Mysteries require those dual skills as well. The title THE GRANITE MOTH is unusual and evocative. Where did it come from? I’m glad you asked this question! I was working with a student, Elizabeth Cramer, on a poem about extinction, and she had this great list of animals including the granite moth (thankfully not endangered as far as I know). I thought it fit the slightly darker tone of this book, and Elizabeth graciously let me use it. 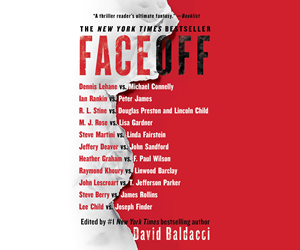 The book opens with a quote: “Sometimes you don’t know who you are until you put on a mask.” What does that quote mean to you, and how does it reflect the themes of the book? The epigraph is from a beautiful essay by Alexander Chee called “Girl.” I hesitate to paraphrase, but it’s loosely about how freeing it can be to adopt a different identity. Expectations change or even fall away. Kat’s spent so much time pretending to be other people that she doesn’t quite remember what it’s like to be herself. She’s an extreme case, but I think a lot of young people can relate. I knew I wanted the first scene to happen at the annual Village Halloween Parade in New York City. It’s such a fun event—all these elaborate homemade floats surrounded by an enthusiastic, bedazzled crowd. Once I thought about Dolly’s float being sabotaged, I decided to raise the stakes of the book by exploring the possibility of a hate crime. You certainly succeeded in raising the stakes. THE GRANITE MOTH opens with a bang. How do you continue to build suspense after such an action-packed opening? Kim Harrison’s Hollows series is one of my favorites, and so many of those books start with something surprising. I’m always impressed by how her pacing allows for moments of reflection while never losing sight of the action. I used those as a model. Did you know you were writing a series when you started? How did that affect decisions you made when writing it? I wasn’t sure anyone would want the first one, so I didn’t think too much in terms of a series. I knew I liked spending time with the characters, though, and wasn’t ready to let them go after only one book. I can see that. Kat is a strong and complex character. How did she come to be? I liked the idea of disappearing as a kind of superpower. Kat takes advantage of something that to others might seem like a weakness. Social media has made it easier to constantly interact with others—which definitely has its advantages—but there’s also a relief in anonymity. I meant for Dolly’s original scene to be about the relationship between Kat and her wigmaker, Vondya. But when I started writing Dolly, I realized that Kat needed someone like him in her life. He’s her opposite—really sure of who he is, in or out of costume. Your books are serious, but laced with humor. How do you balance the two? This was tough with THE GRANITE MOTH because I didn’t want to make light of the crimes. For me, that meant keeping the overarching themes serious while allowing for humor within scenes. The characters react as we often do, laughing in the face of calamity. In the weeks after we were evacuated from our apartment on September 11, my roommate and I would sing the refrain of Paul Simon’s “Homeless” and crack ourselves up, at least for a minute or two. I hesitate to share this anecdote because it might seem tacky to an outsider, but my terrible voice warbling “Homeless, homeless” helped somehow. Within a few days of the attacks, NYU provided all of their evacuated students with hotel rooms, but it was still a bleak time for us. We needed to laugh sometimes. Like when police officers or firefighters use dark humor to get through terrible situations. That’s a very human reaction, very insightful. I see that in your work as well. Would you say you’re more of a planner or more intuitive? How would you describe your writing process? Do you ever get “stuck,” and if so, how do you move past it? When I was in my early twenties, I made a conscious effort to become more patient. Instead of being irritated by long lines at the post office, I would recite poems in my head. Instead of being embarrassed that a friend was late for drinks, I would chat with the bartender. I think writers have to be patient with themselves. Practice helps. 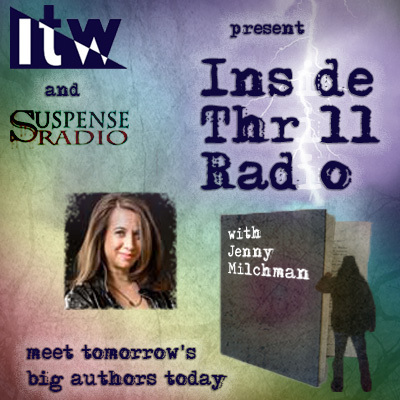 What do you think distinguishes your books from other suspense novels? I love books where the protagonist is the smartest, fastest, strongest lady around, but I wanted to create someone more ordinary. Kat’s unique, of course, but she’s also just doing the best she can, figuring life out as she goes along. I have a joke about Millennials in THE GRANITE MOTH, and I have high hopes for our youngest generations. They are doing amazing things with technology. They even volunteer more than their elders. But being young has a particular way of making you feel at sea. I wanted to capture that desire to swim in the right direction—or at least stay afloat. What kind of marketing and promotion, if any, do you do? This isn’t my best skill, but I’m trying to set up readings right now. I’m a huge fan of festivals, typically of the animal and vegetable variety, but I’m also attending Killer Nashville and the Southern Festival of Books this fall. 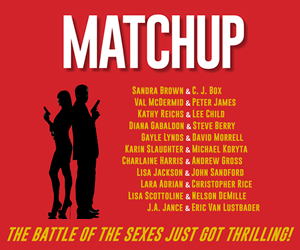 Social media has been a great way to virtually meet other crime writers and share ideas. For my first novel, I also sent a lot of hardcovers to libraries I’ve frequented over the years. Readers matter more to me than sales. That could be my poetry background talking, though! My biggest piece of advice is to root for others as much as you root for yourself. 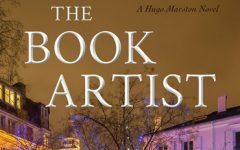 Even in a good year, writers have a limited number of successes—finishing a new short story, getting positive feedback from an editor, and occasionally having something accepted. So find people who care, and root for their accomplishments, too. At the very least, you’ll get more cake. I love that advice! Kind works, and more cake. So, what’s next? Will we see more of Kat? I hope so. I’m working on a third book tentatively called The Blue Kingfisher. I look forward to reading it. Before we go, is there anything else you’d like to add? Thank you for these thoughtful questions! Erica Wright’s debut crime novel The Red Chameleon (Pegasus Books) was one of O, The Oprah Magazine’s Best Books of Summer 2014 and was called “riveting” by Publishers Weekly. She is also the author of the poetry collection Instructions for Killing the Jackal (Black Lawrence Press). 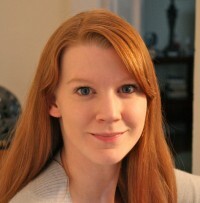 A senior editor at Guernica Magazine, she recently joined the editorial board of Alice James Books. She misses New York City, but is proud to be a new resident of Nashville.